Tis' the season for holiday parties, and Thanksgiving is, believe it or not, right around the corner! One of my favorite parts about hosting dinner is planning out the table decor. I love using what I already have around the house (and buying some new pieces) to create the perfect tablescape. This season, I'm particularly into woodland decor - think wood slices and white branches. So, we decided to try and create a cool "woodsy" thanksgiving tablescape. Here are the five elements that were essential for this year's table theme. So I guess burlap really is more "country" than "woodsy" themed, but hey, it looked great on the table - and it's super inexpensive compared to purchasing a new table runner! Just go to your favorite fabric store and get a large piece of burlap, then cut to your desired length! Have extra? You can also use the burlap for impromptu place mats! Have extra wood lying around? Tell your husband to cut a few 2 or 3 inch thick wood slices for your table decor! Or, if you don't have a lumberjack living with you, head to craft shows or decor shops. The birch tree candle holders on our table came from the Ship-Chic Craft & Vintage Show, a bi-annual craft show here at the Shipshewana Auction building. I just love how they create height for the centerpiece. What's a woodsy theme without a little greenery? We used fake succulents and green topiary accents to provide a little color to the table. Plus, it's always fun to have your guests consistently ask, "Is this real?" as they poke at the succulents. I purchased some of the greenery from a store here in Shipshewana called "Four Seasons." Their decor is the CUTEST! For this element, I literally went out into the yard, and grabbed some leaves (which there seems to be a never-ending supply of these days). Using a sharpie, write out the guests' names on the leaves and place above the plate on your table. Want to get a little more fancy? Dip the leaves in some gold paint or sparkles! With all the brown and white on your table, you'll want to add more color. If you don't have colorful plates, I suggest using colored cloth napkins. 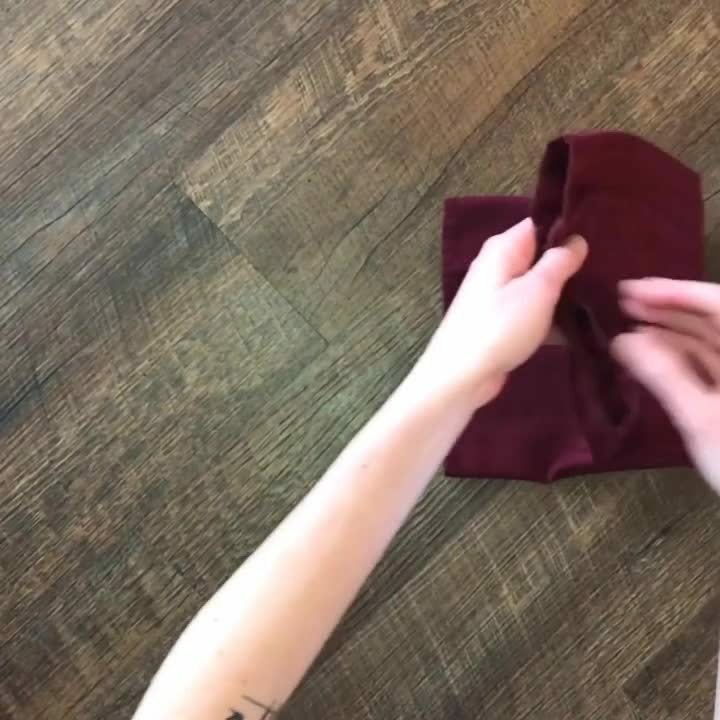 You can even fold them into these sweet silverware pouches...check out the video below for a quick how-to! And there you have it! 5 simple elements to use when creating a woodsy themed Thanksgiving tablescape. What are your table decor ideas?